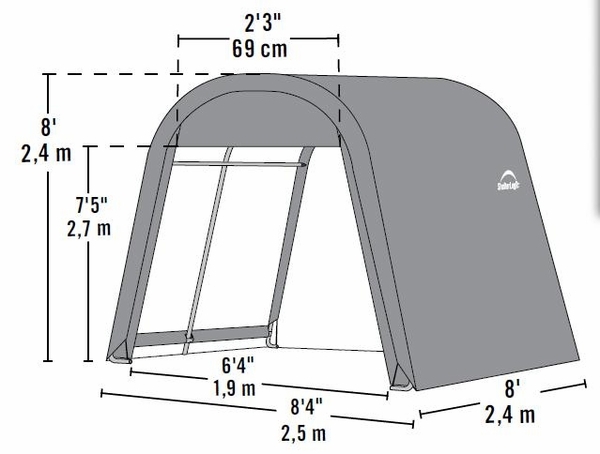 Rounded design portable shelters work well for protecting and storing cars, trucks, yard equipment and outdoor supplies. This shelter measures eight feet wide by eight feet long by eight feet high. 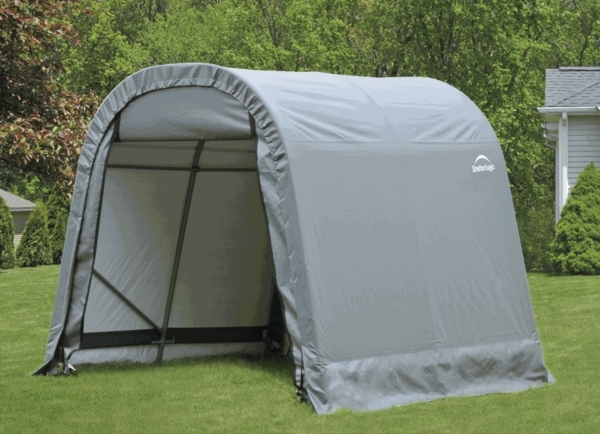 The shelter includes everything you need for a quick and easy set up. The heavy duty polyethylene cover is commercial grade nine ounce fabric. The steel frame features a baked on Du Pont thermoset powder coating that will eliminate any worries about rust and corrosion.